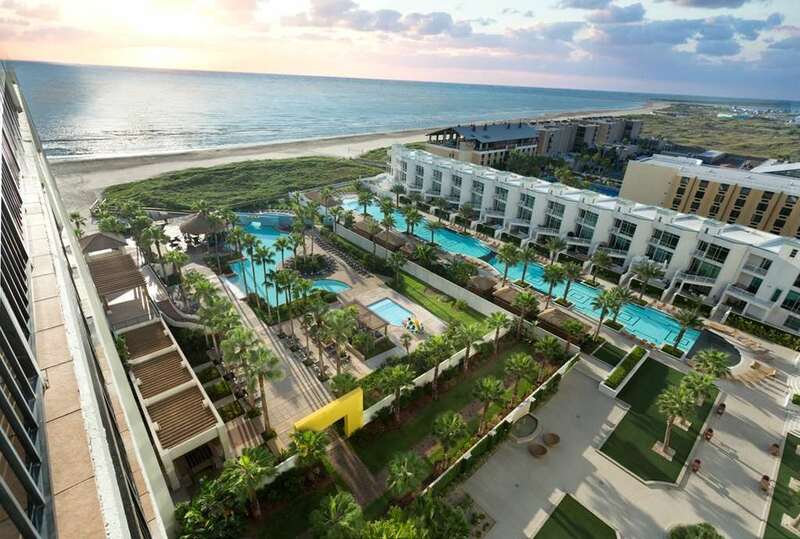 Nestled on the island southern tip the Pearl South Padre Island Resort is a premier oceanfront resort for families and couples who want to experience tranquil views and soft sand beaches in South Texas. Warm rays of sunshine and tropical breezes await your arrival. From the moment you drive down the palm tree lined brick road and discover our lush landscaping and pristine beaches you will know why the Pearl South Padre is South Texas Best on the Beach resort destination. Beachside Bar And Grill: Offering Freshly prepared and locally caught seafood steaks and other items for Lunch and Dinner. Full Breakfast menu offering pancakes omelets and Huevos Rancheros as well. Palapa Bar: Open seasonally at the pool deck of the Pearl Hotel. The Palapa Bar offers drinks and food options as well. Serving Tacos and Nachos to Hamburgers Grilled Chicken Sandwiches and Pizzas. Located on the pristine blue waters of South Padre Island beach 256 guest rooms suites and condominiums with private balconies Spectacular views of the Gulf of Mexico. 6000-square-foot outdoor pool and swim-up bar. Claytons Beach BarClaytons Beach bar is the largest Beach bar in the State of Texas. A great place to hand out during the day and people watch while enjoying the surf and also an awesome venue for concerts on the Island. Schlitterbahn Beach WaterparkOnly minutes away from the Schlitterbahn Beach outdoor Waterpark. Louies BackyardLouies Backyard is the destination on South Padre for nightlife and music. South Padre Island Convention CenterThe South Padre Island convention Center is located on the North end of South Padre. The Pearl is a quick 8 minute drive away.